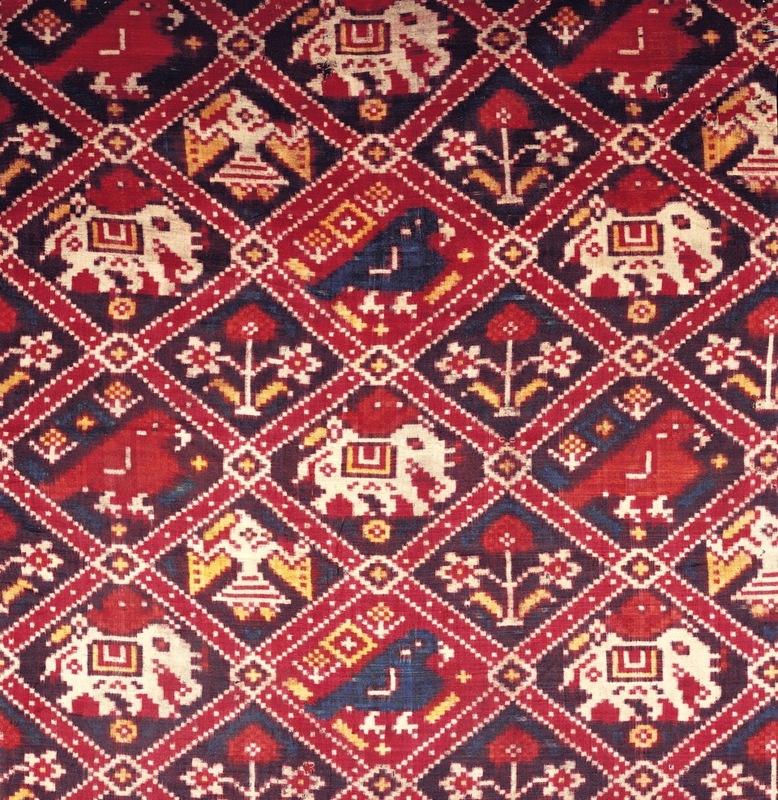 A silk patolu sari, woven in double ikat with gilt metal wefts at one end, decorated with elephants, parrots, flowers and dancing girls within a diamond trellis, all within elaborate borders. The dancing girls are a rare feature of this type of patolu. Indian Ikat Textiles, pl. 20. The author writes that this type seems to have been particularly associated with the Brahmin communities of northern Gujarat. From a private English collection.